Online video advertising expenditure is forecast to exceed £800m next year, at which point it will account for a quarter of all internet display adspend, according to the latest data from the Advertising Association/Warc Expenditure Report, released this week. As we’ve already learned this week, display remains the largest contributor to total UK advertising expenditure, but its share has been falling over recent years due to the rise in internet search ad revenue. Within internet, however, the opposite is true. 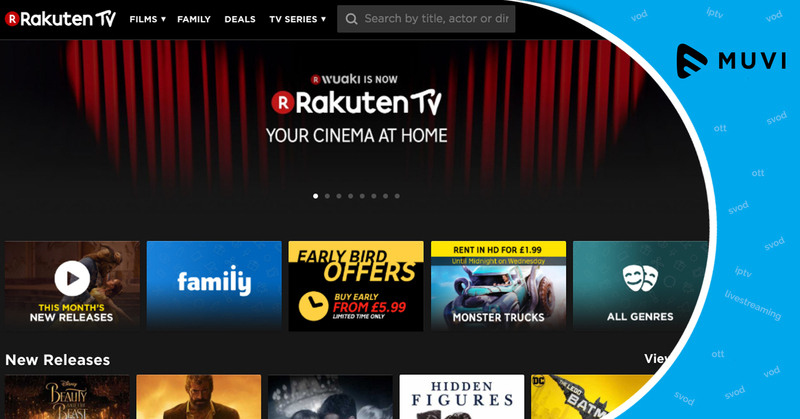 Despite our expectations for record-high search adspend of around £4.6bn next year, its share of the total online market is currently being eroded by display. It’s worth noting that for the purpose of this analysis, we refer to internet adspend as outlined by the Internet Advertising Bureau, inclusive of online ad revenues for news and magazine brands, radio websites and broadcaster VOD services. In 2000, when the IAB began monitoring internet advertising expenditure, display outweighed search by a ratio of 10:1. 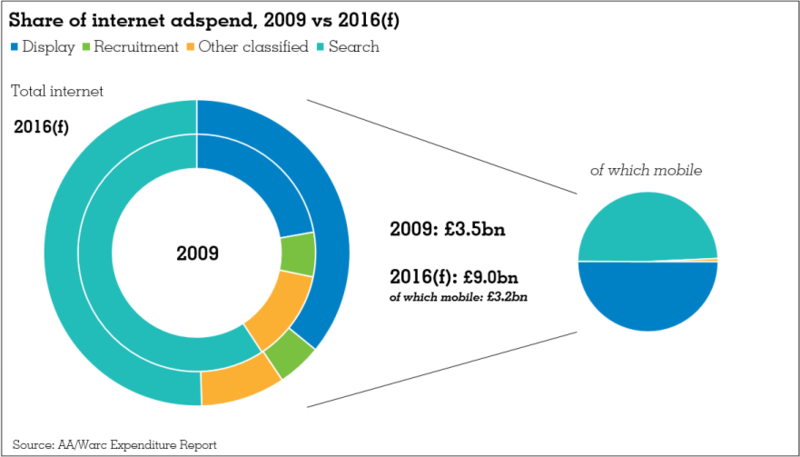 But the tide had turned only three years later, and search has provided the greater share of online adspend ever since. At its highest point in 2009, almost three in every five pounds spent on internet advertising went to search. Since then, however, search’s share of total internet adspend is expected to have fallen 8.7pp by the end of next year. 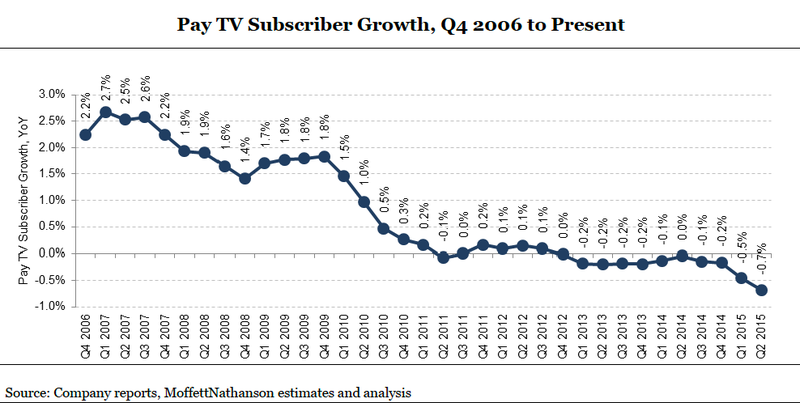 This compares to a 12.5pp rise in display’s share over the same period. Display is also taking share from classified, including recruitment.